How to choose Best Graphics Card for your computer – And what is grphics card? And applications of graphic card ? 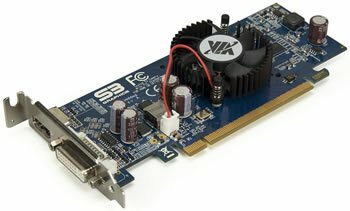 How to choose Best Graphics Card for your computer – And what is grphics card?And applications of graphic card ? So we all use Graphics Card – right? In fact your computer, be it your old desktop or modern age ultrabook or tablet – or even your mobile phone – they won’t run without a graphics processor. It is the part of the whole system that drives the display. We all know this. But in this article, we shall discuss various aspect of such a card and help you to chose the best card for your normal PC vs Gaming PC. This will help you understand how you can harness the power of a graphics card for applications that are specific to your interests. A graphics card is a dedicated circuitry for performing all graphics processing related operations for the PC. Although most desktop motherboards come with an integrated graphics processor, the benefit of a separate graphics card is that it contains additional memory and processing power specifically for the purpose of visual computing and rendering of graphics. A graphics card typically comprises of dedicated memory units and a graphics processing unit, which in turn is made up several engines that perform different tasks of a graphics/video pipeline, such as video encoding/decoding, color processing, graphics rendering, and display of the final output to the monitor. The integrated graphics processor on the PC motherboard is capable of low-level graphics processing, however, it falls short in terms of performance and speed when it comes to graphics intensive or computation-heavy applications. At the time of their inception, graphics cards were primarily focused on providing graphics rendering capabilities for simple video games and CAD programs that do not have intricate, fluctuating scenery and detailed visuals. But over the years, the games as well as other needs have become much more complex. the applications of graphics cards have expanded much beyond gaming and even non-gamers can leverage the processing power of graphics cards for various purposes like CAD, photo-editing, movie making, high-end 4K movie display, GFX rendering and similar applications such as deep learning. In the next few slides, we will go through the various scenarios in which a graphics card may come in handy for both gaming and non-gaming PCs.